Our custom developed SaaS applications are built using a combination of servers, controls, utilities & integration engines. The IDN Web Portal provides access to the applications and data, plus User and administration management. As with all SaaS applications, the IDN Web Portal is accessible via an HTTPS URL web address. IDN offers easy Portal Creation and Duplication capabilities to allow for QA (Quality Assurance) testing and training by synchronizing with the Production Web Portal. Each Web Portal is a fully segmented Instance, with no possible overlap or leakage of one client’s content with another. Each database is 100% unique allowing for customization and configurations tailored to the client. The IDN Schema Creation Tool accelerates the process of developing and expanding a database schema without accessing the backend database engine. Many of our applications have hundreds of tables and thousands of fields, each with specific relationships that need to be defined. Tasks such as adding primary keys, foreign keys, friendly names, mandatory fields, supporting tables, new structure and relationships are all streamlined to speed development and enforce best practices. A database schema design is the framework of individual tables that allow records to be created and maintained. Each table reflects a discreet subject matter, place or thing broken down into fields of information (think first name, last name, address). Every table has relationships that describe how the information is related. One of the key strengths of relational databases is the concept of Validation, which helps to standardize data entry and maintains consistency. 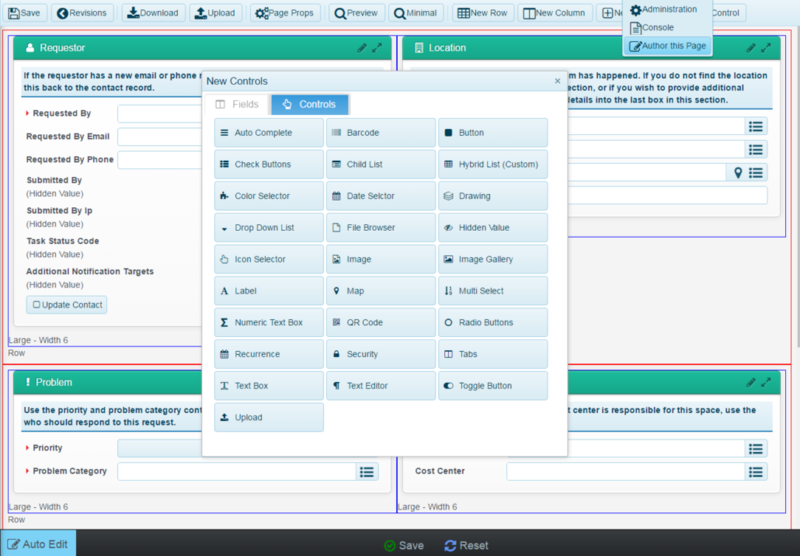 The IDN Form Builder provides a set of tools to help developers rapidly craft User friendly applications. The IDN Form Authoring Tools allow drag and drop of individual fields as well as grouping into sections that can be rearranged with a click and drag of a mouse. Various styles, colours, spacing and borders can be added as required in addition to many widgets that allow embedding of maps, images, videos, charts, and graphs. Auto Complete features reveal a filtered list of valid choices for Users to select. Allow certain Users the rights to add new content to a drop-down pick list directly from the current form, saving considerable time when adding a new validated item such as a new city name or new staff member. Form searching allows Users to find a value without leaving the form itself. Reporting is the reason that many applications exist. The ability to put database information on a screen or page into an easy-to-understand form is the highest priority. The IDN Reporting Tool provides the capability to produce custom report layouts including full listings or summary details. Common reporting tasks include filtering, grouping, totalling, or calculating data and then sharing, exporting, or printing the results. 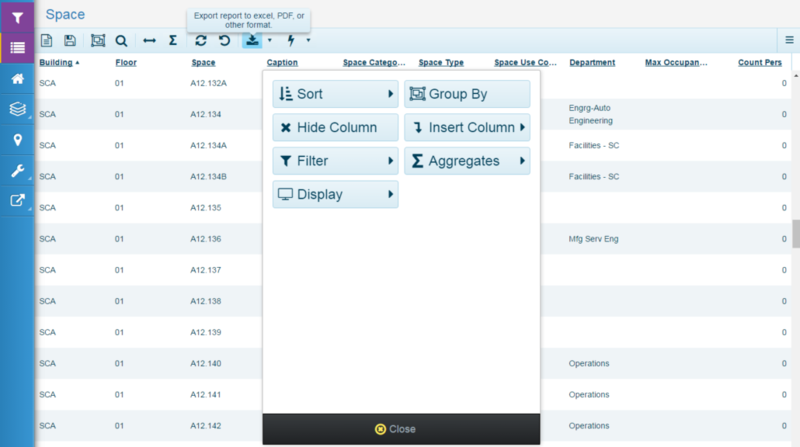 The ability to turn a data field on or off, rearrange the columns order by drag or drop, or display User friendly names is easily performed by even novice systems Users. Extensive searching and Boolean logic controls are included to help Users find a “needle in the haystack”. New reports can be created on the fly and saved for the future. With instant export to Excel or PDF, sharing data is fast and easy. The ability to combine database details with graphic output including CAD drawings, GIS maps, pictures and images, QR and barcodes is a built-in capability of the IDN PDF Generator. No need to fuss with external printer drivers or applications to prepare and share PDF content. Additionally, PDF files can be generated and emailed automatically on a scheduled basis with the IDN Event Scheduler. IDN has developed a set of Integration tools to update data on a frequent and convenient basis. Utilizing XML (eXtensible Markup Language) and an IDN Data Director Profile, developers can create a custom API (Application Programming Interface) that allows a permanent, secure connection between two application in different locations. For example, we are able to extract human resource information to populate a CAD drawing to display the location of each staff member on a floor. 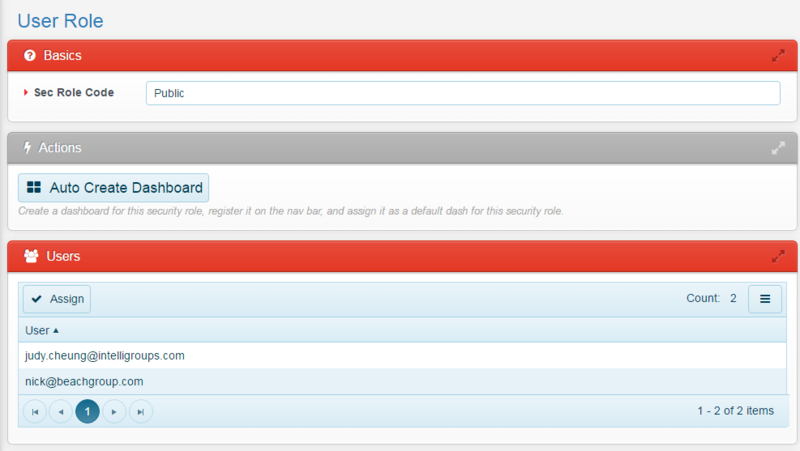 The IDN Event Scheduler allows us to trigger an automatic notification by e-mail, SMS or text message. By establishing rules, we are able to create events that most often involve notifying someone about what has occurred. For example, if a certain threshold is exceeded then an action is required, or if a request has been created then it forces the need for action. This notification could be to one person or a group depending on the rules. Documents are a critical part of the working world. Having a storage location within a form for any type of digital file type is a very valuable feature of the Document Library. PDF, XLS, DWG, DOC files can provide an important supporting role to the data residing in the Web Portal. As with image files, documents can be uploaded or dragged and dropped into structured library folders. IDN E-mail Service provides both outgoing and incoming communication capabilities connected directly to the database. This allows for easy and accurate interaction with all portal capabilities. Outgoing e-mails can include a direct link back into the portal to complete an action, update a status, or review a report, all be tracked by the activity logs. Additionally, pre-structured spreadsheet data can be e-mailed or uploaded to the Web Portal to auto-populate data tables, saving time and reducing data entry errors. It is valuable to provide a gallery function to attach images of all kinds and sizes to a database record, such as a building, person or asset. Images can be uploaded or dragged and dropped into the gallery and then be downloaded as required. Additionally, images can be prioritized for automatic placement in a document by the IDN PDF Generator. Galleries can be placed as required within forms to keep the images within the context of the data. IDN also offers a Subscription Service that automatically sends a report or status message regarding an issue to select people. This is often used to notify various people of a related event such as a corporate move project. The e-mail sent often includes a direct link back to the Web Portal to allow instant review and updating. Job Scheduling is associated with Preventative Maintenance activities due on pre-scheduled intervals where Work Orders are routed to persons with advance notice. In addition, certain back-end jobs can be programmed into the Web Portal to active routines such as backups or synchronized data transfers and report generation. It is all determined by a set of rules established by the developer or system administrator. The ability to link a location to a web mapping system is also a valuable function in the IDN Form Builder. The IDN Web Maps API includes the street address or Latitude and Longitude settings to display a Google or Open Street View app with a suitable zoom level. Additional web map integration capabilities can be activated if required. The IDN GIS Integrator can be seamlessly linked to a QGIS and open source, ESRI Shape File compatible GoSpatial toolset for much more advanced mapping applications. The top priority for Cloud-based application is security and privacy. In order to manage various User groups and required roles, the IDN Security Controls offer a number of layers to protect your data from unwanted access. Integration with SSO (Single Sign On) services including Active Directory plus IP (Internet Protocol) Lockdown and Restrictions. 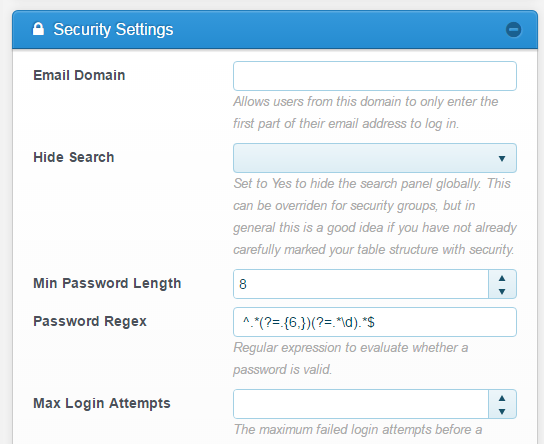 IDN provides Password Request Controls that restrict the number of login attempts, issues replacement passwords via e-mail and tracks all login activity. Your system administrator can oversee security with a number of activity tracking tools. Our partnership with Rackspace provides an exceptional level of security for Microsoft Servers at the IaaS level (Infrastructure as a Service), with over 100, 000 servers under their management. We trust Rackspace’s environment design, system monitoring, and hardened engineering to be state of the art. In fact, since 2001 we have not experienced any downtime on any servers for any reason. The 100% up time is remarkable! IDN has developed import tools to help incorporate outside data into the structure of a Web Portal database. The most common data interchange tool is Excel XLS or CSV (Common Separated Value) spreadsheet format. The IDN Import Export Utilities are able to “map” fields to the database structure plus check that data is valid and flag data for correction. IDN has tools to interchange data flawlessly with many applications including Excel, AutoCAD, Primavera, SAP, Maximo, Megamation and Adobe Acrobat PDF. Getting everything a User needs in the right place for each task is always a design challenge. 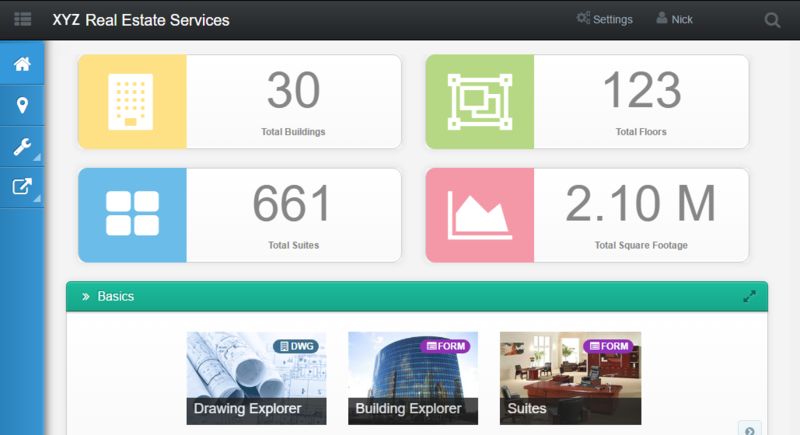 The IDN Dashboard Designer provides developers and administrators with the ability to easily modify icons, sidebar menus, navigation flows and tooltips with a streamlined interface. Additionally, a mobile counterpart is available to design a User experience that adjusts to smartphone screen size. Often smartphone users will not require the same depth into an application that desktop users demand, so the Dashboard Designer allows for a comfortable mobile experience that is easy to navigate and effective when away from a large screen.